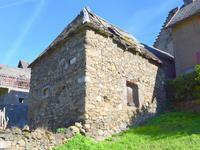 This property is situated in a region well known for its natural beauty and historical sites. Also it offers great walking and biking routes as well as its famous vineyards! !The main part of the building already has a new roof and a 1st floor over approximately half of the ground floor +/-135m2 over three levels. There is a courtyard area in front of the barn for parking but the barn also has its own garage and a piece of land at the side of the building for a possible terrace. Water and electricity on site. The septic tank is certified. Very attractive setting in a country hamlet within 3km of main amenities. Building has been well maintained by the present owner. Permission has been granted for conversion into a residence. 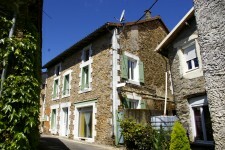 Amenities: Close to village (3km) with café/restaurants, supermarket, hairdressers, bakers, garage.